Fall is here. And while I can stomp my feet & pout all I want like a terrible two (or three) that Summer has come and gone, it will not make Summer come back. So I've decided to embrace the colder weather and find joy in the things that make Fall enjoyable. That means indulging on anything containing apple or pumpkin. For myself, Fall rings in the time to drink a hot cup of apple cider. Yum! I love drinking hot apple cider while spending quality time with the school books & I always add some Biltmore Wassail Spice Blend to the drink. It's so delicious & really adds to the yummy flavor of Fall. Preheat the oven to 350 degF with the donut pan in the oven. In a small saucepan, boil down the apple cider for 15-20 minutes. Pour 1/2 cup of the cider into the measuring cup and chill in the refrigerator. In a mixing bowl, combine flour, white sugar, brown sugar, baking powder, baking soda, cinnamon, nutmeg, and salt together. Add the egg, milk, butter and vanilla and mix with a fork. Once the apple cider is at least at room temperature or cooler, add it to the mixture. Mix the ingredients well. The consistency will be like pancake batter. Pour the batter into a large Ziploc bag or into a large piping bag. Carefully remove the donut pan from the oven and spray the pan with cooking spray. 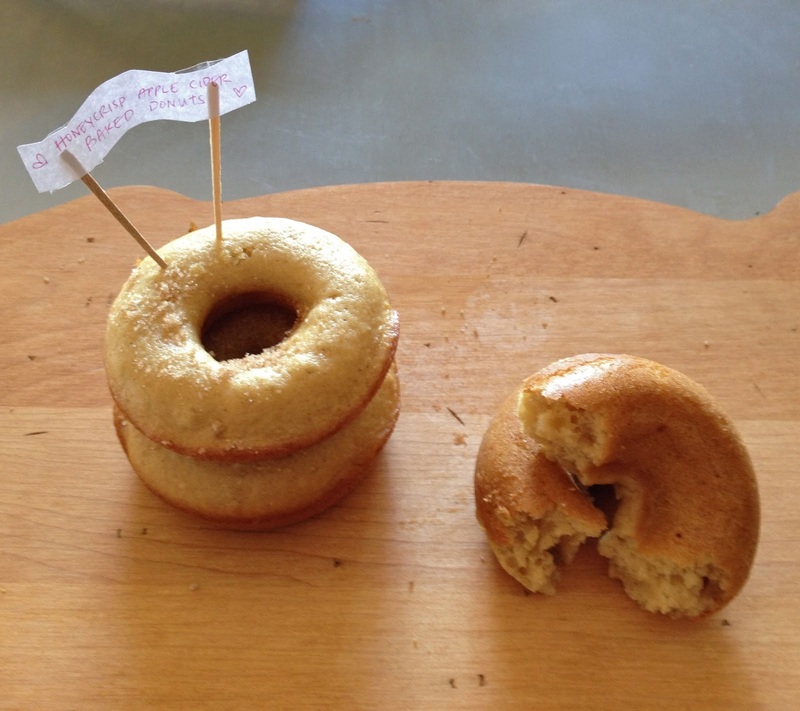 If you're using a Ziploc bag, cut off a small bottom corner and pipe the batter to fill the donut pan 3/4 full. Bake for 10 minutes. Remove the donuts from the pan and let them cool completely. Mix together the white and brown sugars and cinnamon in a small bowl. Brush melted butter on the donuts and quickly dip the donuts in the cinnamon sugar mixture. How delicious do these look? I promise they will be gone in an instant if you share them with friends and family! For the best taste, serve fresh the same day the donuts are made. Enjoy friends! Happy Fall! PS. DON'T FORGET TO ENTER THE J.CREW $250 GIVEAWAY!! It ends 10/17! Enter daily for extra entries and more chances to win!! Okay, this recipe looks easy enough for me to try these this weekend with the family. OMG! These sound and look amazing! I will definitely be trying it out this weekend. Thank you! These are perfect for Fall. Definitely going to try soon! 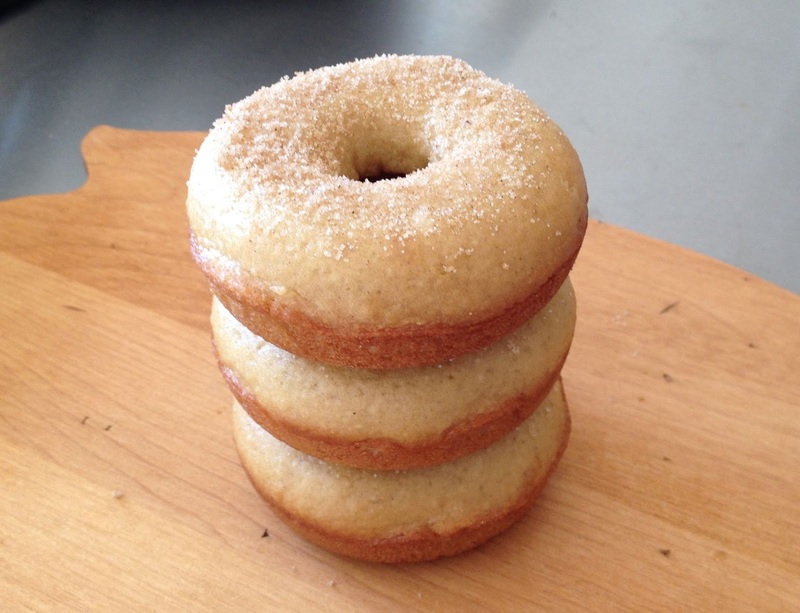 Your Baked Apple Cider Donuts will be just delicious! Thanks so much for sharing your awesome post with Full Plate Thursday and have a fabulous day! Yum! Thanks for creating something non pumpkin for the Fall. These sound so good! Thanks for the recipe. These sound delicious! I love donuts! I've never had a cider donut... homemade or otherwise! maybe I should make some! These look so scrumptious! Definitely going to try this. These baked Apple Cider donuts look delicious! Thanks for sharing the recipe! 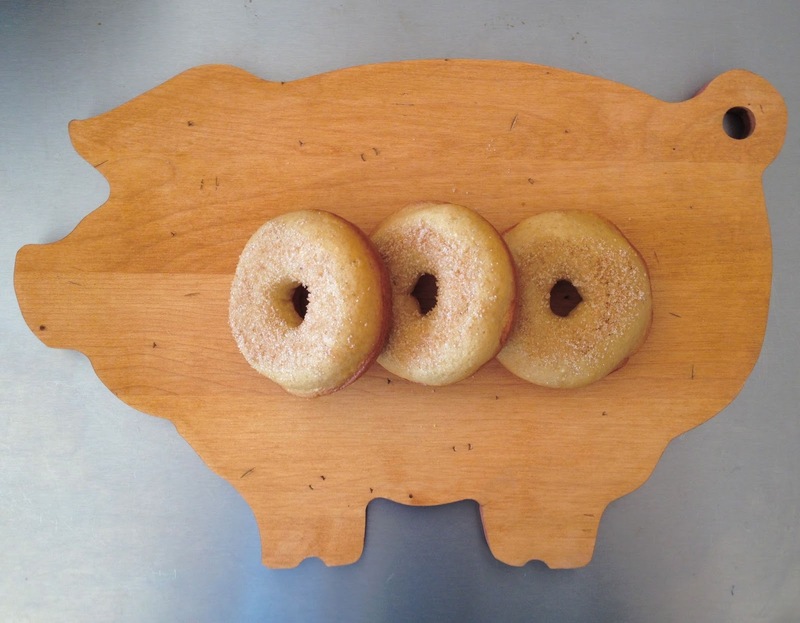 This is a very unique donut!